Unmanned aerial systems, or drones, have been a valued asset for the warfighter and in surveillance for the Department of Defense. The technology is being developed at a rapid pace to fly at longer distances, faster speeds, and with increasing payload capacity. Both private and public drone industry players are working together to evolve and grow the technology, and as a result, innovation is upending legislation, challenging legal norms on how we solve airspace defense concerns. Drone technology impacts the FAA, FCC, DoD, and state and local governments, among other legal and regulatory bodies. Key to the success of integrating drones into our national airspace is collaboration that matches the speed of innovation, while also addressing and preparing for the emerging security gaps that drones pose in the national airspace. UAS market growth has driven regulatory activity, in order to allow military installations and other critical facilities to protect themselves against drone threats. In April 2017, the FAA extended their authority over military operations areas by instituting restrictions that specifically apply to drones, and extended these rules to protect 133 facilities. In August 2017, The Pentagon implemented a new policy permitting military bases to shoot down drones that are deemed a threat. However, despite these regulations, drones are disrupting and threatening DoD operations. Drones have nearly collided with Coast Guard and Army helicopters, and disrupted flight operations, among other incidents both domestically and abroad. In response, the U.S. Military is increasing spending for unmanned technology, including detection and counterdrone solutions. In October 2018, the U.S. House of Representatives passed H.R. 302, the FAA Reauthorization Act, which includes new authorizations for detection and defense against unauthorized drones. H.R. 302 included a bill, S.2836 - Preventing Emerging Threats Act of 2018, which gives the Department of Justice and the Department of Homeland Security the authority to detect drones and disable, down, and seize any drone that met their criteria for threat. The bill also discusses how the government can use passive detection technology to identify, monitor, or track their drone and payload, and evaluate whether it poses a threat to the safety or security of a protected facility (read more on drone detection laws, here). According to an analysis conducted by Association for Unmanned Vehicle Systems International (AUVSI), proposed spending for unmanned vehicle systems by the U.S military totals $9.6 billion for 2019, an increase of 28 percent over last year. Each military service, including U.S. Navy, U.S. Air Force, and U.S. Army, have requested a funding increase for unmanned systems. While legislation strives to keep pace with addressing how to defeat drone threats, the Department of Defense is learning more about the risks unauthorized drones pose to military installations, from espionage, airspace clearance issues, and physical attacks. Anecdotal information of drone incidents near military bases leaves military security personnel with insufficient details about the nature of airspace threats. Detection and defense go hand in hand. Drone detection technology is an essential tool for all military installations to assess their airspace activity, understand the severity of drone threats, and develop strategic protocols to defeat unauthorized drones. Technology solutions exist today that assess and measure airspace activity, and through collaborative efforts between the DoD and private security providers, are able to be deployed at a quicker rate to help collect airspace data and inform on the growing threat of unauthorized drones. 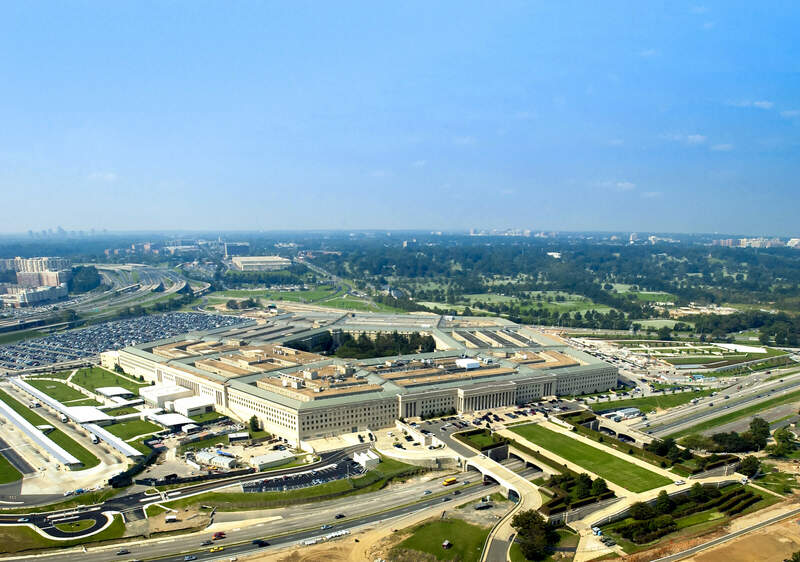 The Department of Defense is decreasing the time from development to deployment of technologies through the use of rapid prototyping events and through strategic financing of data collection projects. The DoD has made access to emerging technologies much easier with rapid prototyping programs like DIU and ThunderDrone. Defense Innovation Unit (DIU) is a DoD organization focused on accelerating commercial technologies to the U.S. military. DIU is experimenting with detection technology to assess, measure, and respond to adversarial UAS threats as they relate to flight operations and base security within the United States. USSOCOM has invested resources to accelerate innovative and collaborative capabilities with drone detection technologies. SOFWERX is leading collaboration between SOF Warfighters, Interagency Partners, and select contributors from industry and academia on technology and innovation efforts to bring drones and their associated data science applications to the Special Operations Community. USSOCOM and SOFWERX created in 2017 “ThunderDrone”, a series of Rapid Prototyping Events (RPE) that focused on different aspects of current drone technology. Other branches of the military, including the Air Force, also have innovation ecosystems (AFWERX) to assess drone technology. Through these programs, the DoD and drone detection technology providers have developed a symbiotic relationship, where emerging technology is tested and deployed in an operational environment to find out what information is useful to develop the DoD’s operations for counterdrone response. With the data collected at defense events, drone detection technology companies can advance the technology rapidly, simplify their capabilities, and ensure information collected from the systems is actionable for military installations to make decisions about drone incursions. Modern security requires a layered approach that keeps up with the evolution of drone technology. The DoD has evolved considerably in their understanding of the capabilities and necessity of drone detection technology, and they’ve invested in technology for drone defeat overseas and for their critical assets in the U.S. As more drones come in the hands of hobbyists and consumers, the DoD is looking beyond defeat, and realizing the foundation of any drone defense program is to use detection as an IFF tool, locate the drone pilot, and understand their airspace activity. Any unauthorized drone is a threat, whether it's a hobby pilot unknowingly causing a nuisance, or a drone conducting hostile surveillance or dropping a weapon. With drone detection technology, the military can observe the behavior of the drone and institute defensive countermeasures to assess the threat and respond appropriately, whether via direct contact with the pilot or via coordination with local law enforcement. This nuanced approach has evolved considerably from the initial inclination to find and neutralize the drone through a variety of offensive countermeasures. In all cases, whether the response to an incursion is to defeat or defend, it has become clear that early detection of drone activity is the critical foundation of any counter-UAS program. The DoD is also exploring how to detect drones in different conditions. Armed with advanced surveillance technologies, many military operations agree that the farther the detection range, the better, in order to have the maximum amount of time to prepare for an incursion. However, the largest issue with this is that no drone detection system is a one-size-fits all solution. Military installations may be in a noisy, urban environment, in the middle of a desert, or have varying degrees of traffic, such as at a shipyard or military installation. The adversary may be across the street, in a neighboring building, or miles away. Drone detection technology must be customizable to the specific area and the threat. Successful airspace security requires layers of detection technologies, including radio frequency, cameras, acoustic, radar and other sensors, each of which come with different capabilities and ranges. Each drone detection technology system must be able to integrate the best in class technologies for the individual installation, which requires an open-system software architecture. Drone detection is a precursor to implementing both offensive and defensive countermeasures, and is the key technology to be developed and deployed as legislators learn about the DoD’s airspace risks and activity. S.2836 and other drone defense laws being developed today are a starting point and prompting discussion on how this arrangement would work with state and local governments who are also faced with unauthorized drone threats. Some of the issues still in discussion include who would have jurisdiction to defeat a drone, and what would qualify as a drone intrusion. Significant work lies ahead to ensure bipartisan support and cooperation between the commercial drone industry, federal regulators, and the public. Critical to the integration of counterdrone and drone detection technology is the continued collaboration between each of these parties. Until then, the DoD must be prepared for drone incursions on military installations, and integrate best in class technologies available to them to locate and apprehend unauthorized pilots, and hold them accountable for their interruptions to protected airspace.